His works are in many collections, including at the New Mexico Museum of Fine Arts and the US Military Academy Museum at West Point. 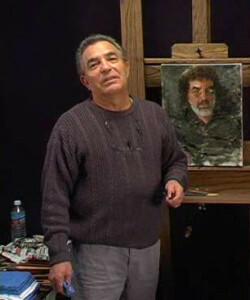 Ramon Kelley has been featured in many magazines including “Southwest Art” and “Art of the West”. Best known for his insightful portraits and classic nudes, Ramon and his wife are residents of Denver, Colorado.